Dr. Li was knowledgeable and kind, but I have to give a shout-out to the Nurse Practitioner or MD, who sawme prior to Dr. Li. She exceeded my expectations. She made me feel comfortable the entire time, and genuinely seemed to care about finding my diagnosis. She seemed like an old friend. All in all, very good experience. Dr. Li was knowledgeable and kind, but I have to give a shout-out to the Nurse Practitioner or MD, who saw me prior to Dr. Li. She exceeded my expectations. Shemade me feel comfortable the entire time, and genuinely seemed to care about finding my diagnosis. She seemed like an old friend. All in all, very good experience. FYI Dr. Li's office has about 10 doctors. You are very likely to see someone else rather than Dr. Li himself. Dr. Jianjun Li leads a group gastroenterology practice where he works alongside two other physicians: Dr. Jack Tin (attending physician at Beth Israel Medical Center), and Dr. Xinyu Zhao (attending physician at Maimonides Medical Center). In addition to providing normal GI health services, the group offers small bowel capsule studies as a newly developing technology. 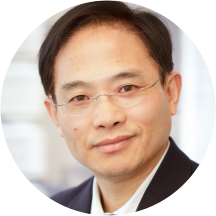 Dr. Li serves as a Clinical professor of Medicine at SUNY Downstate College of Medicine. He also served as Director of the Division of Gastroenterology and Hepatology at Maimonides from 2004 to 2011. In that role, he oversaw all academic activities, patient care, and teaching in the division. He was also the Director of Endoscopic Ultrasound at Maimonides Medical Center, where he provides expertise in Diagnostic and Therapeutic Endoscopic Ultrasound and other therapeutic procedures such as EGD, colonoscopy, and ERCP. In Hepatology he provided expertise in consulting with patients with liver disease, particularly chronic hepatitis B, hepatitis C, and cirrhosis. Dr. Li is well respected in his community, and he treats numerous physicians and physicians’ family members. Dr. Li has been nominated multiple times for awards including “The Best Gastroenterologist in America,” “Best Doctors in America,” and “Top Physician.” Dr. Li has two convenient locations to see patients. One is located in downtown Manhattan, at 139 Centre Street, Suites 704 & 706, 10013. Dr. Li’s other location is in Brooklyn, at 730 58th Street, 11220.Both locations are open on weekends to suit patients’ needs. Very pleasant and professional. Detailed and accurate. Dr. Li has a very busy practice, but his office staff is efficient and pleasant. I knew I would have to wait, so I was prepared with a book and it didn't bother me. He is pleasant. He squeezed my husbandin for a colonoscopy in 2 days which was great. I will turn to him again in a few years when I am due for another check up. Very professional , the office is small and a lot of people but I did not wait long. Busy yet efficient office. Staff are fast, friendly and professional. Dr. Li was highly professional but at the same time very friendly and accesible. I would definitely recommend him. Office staff very helpful and professional. Running mostly on schedule. I didn't wait a lot of time in the waiting room before being seen. Dr Li was very professional, took the time to explain his prognosis, outlined a diagnostic plan, andanswered my questions. He has a great demeanor, and good communication. Would highly recommend. *Very* busy, crowded office, but my wait was very reasonable, considering the number in the waiting room, and everyone was at the height of professionalism. I highly recommend them! Excellent doctor. Very knowledgeable, compassionate, and easy to speak with. Dr. Jianjun Li was nice enough, but it kind of seemed like he wasn't really listening very closely to my problems, and it kind of seemed like everyone in his office was being signed up for colonoscopies. I did end upswitching to another doctor who takes better care of me. Also, the office is cash only, which is pretty annoying. Wouldn't allow me to hear my results of a test over the phone so I had to find time to come in to hear a yes or no response. He was nice and listened but he was very busy and I felt very rushed. I had to find a specialist at the last minute. Was thrilled he has Saturday hours. Waiting room full but kept moving. He apologized and so did his friendly staff for running overtime. He had to do a procedure that tooklonger than normal. I felt comfortable with him and he was thorough. He will be doing two procedures on me. Dr. Li was fantastic. Dr. Li just met me for the first time and it was for a last-minute prescription I needed while out of town, and yet he was obviously feeling empathy and wishing he could do more to help- and he was encouraging too! A positive guy. The waiting room could be improved and the front desk staff weren't super friendly, but they were efficient. Was very helpful and friendly and professional.. It was pleasant and they answered all my concerns. He was the ONLY GI I saw in 4 years willing to order a CT scan. And the scan showed something. He pinpointed ONE problem and discussed the method of treatment. His office staff made it easy to get a copyof my report. Very busy office. On the Other hand..he missed a major infection going on by NOT ordering a culture analysis . I had to see a second GI to be tested and I tested positive. I had a good visit with Dr. Li. He had a really great bedside manner and he was really nice. I was brought in shortly after I signed in. He was very quick in diagnosing what I had. I was very amazed! I will be coming back here for sure! Very helpful and reassuring, answered my questions and gave thorough explanations. Great doctor, would definitely return and advise him to others! Dr. Li is a very experienced gastro with very good bedside manner. Wait time can be a little long sometimes tho. He didn't waste time, he could tell you what is the next procedure right away. I am glad to have him taking care of my mom. It was a great visit. Everyone in the clinic is nice and friendly. Dr. Li is very informative. very thorough! he really listened to me and regarded my opinions....very rare in a doctor! I saw Dr. Tin at the clinic and he was one of the best physician I have ever seen. I was very impressed at how he explained every little thing as to why I might be facing a certain problem, thephysiology behind it and what treatment options are available. I would highly recommend Dr. Tin to anyone who is looking to get complete attention from their doctors, so they can make a better decision about their health! !